This article will explain about Canada immigration points calculator which is also known as CRS calculator. The “CRS” — comprehensive ranking system, is a completely point-based system that is used to assess and score your Express Entry profile in an Express Entry pool. If you are curious about how exactly Canada immigration points calculator calculates your CRS score, this article might be helpful for you. Here we have discussed some core concepts about CRS point calculation system which will help you to boost your CRS points. Remember that having higher CRS score is the major breakthrough for your Canadian immigration journey. CRS points are based on your skills, works experience, language ability, education and other factors. Let’s look the detail about how comprehensive ranking system works. Whether the candidate is applying alone or with an accompanying spouse or common-law partner, he or she can claim a maximum of 500 points under the ‘Core Human Capital’ factor. Candidates can claim up to 600 points under ‘Additional Factors’ by receiving a nomination from a Canadian province, having a valid job offer from a Canadian employer, or having Canadian educational credentials. 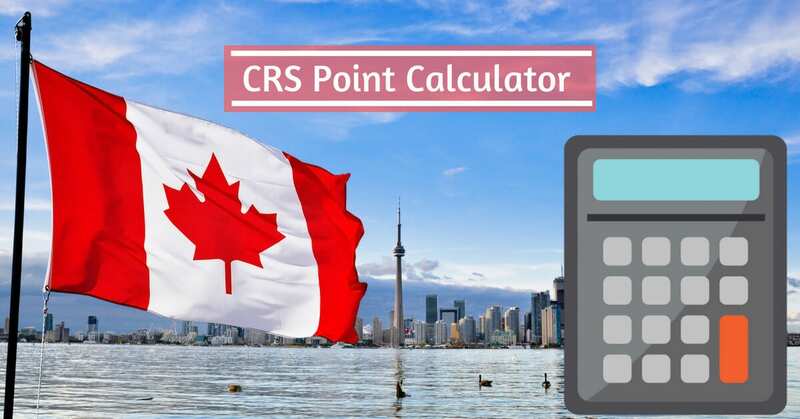 If you want to visit the official website link for the CRS point calculator to calculate your points, please visit — Comprehensive Ranking System (CRS) tool: skilled immigrants (Express Entry). All info on this website is general in nature and should not be considered legal advice.